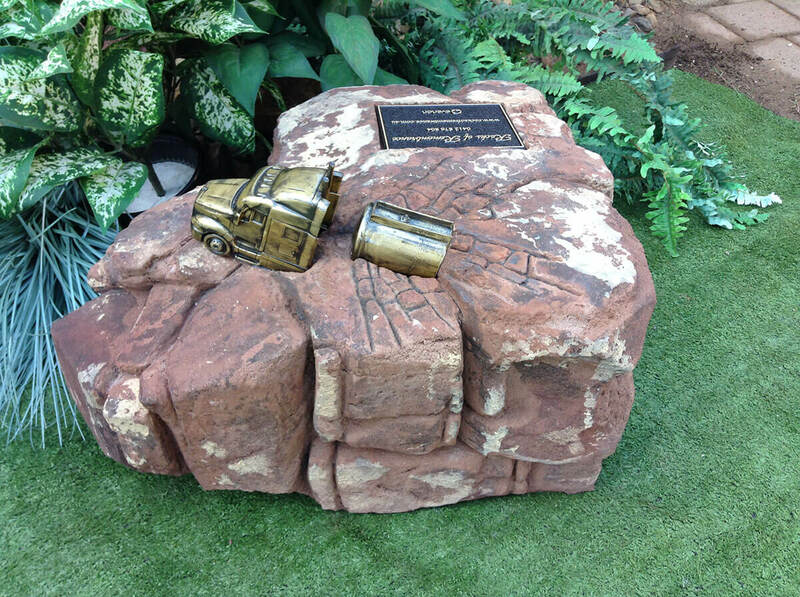 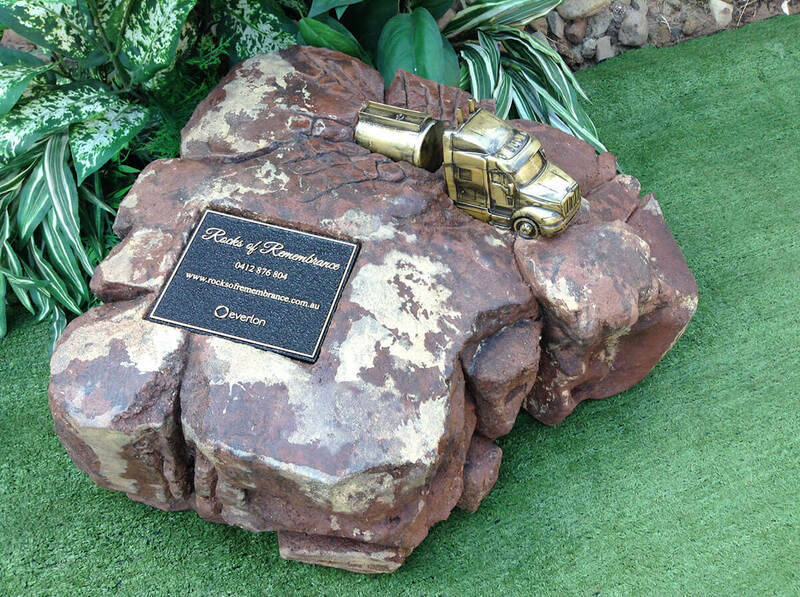 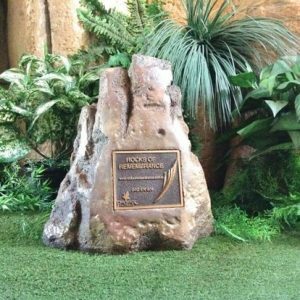 All of our products are unique in their own way, this Memorial Rock was designed for a family of a truck driver who lost his life in his truck. 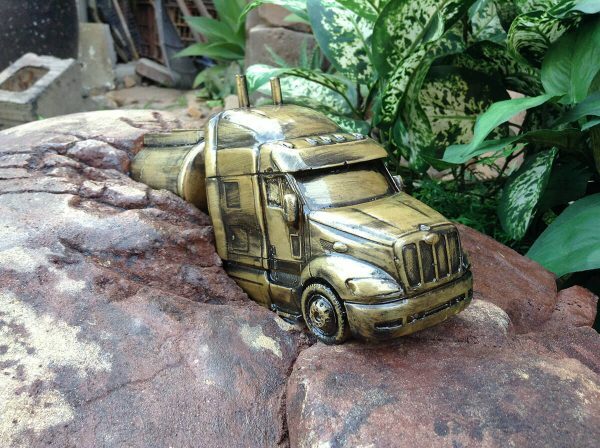 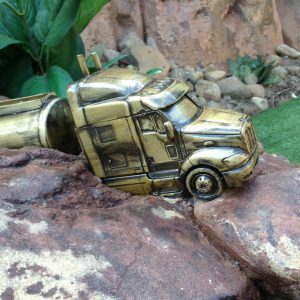 The truck sculpture was handmade here in our premises from a very strong resin it is then airbrushed with our bronze 2pac paint for a long lasting finish. 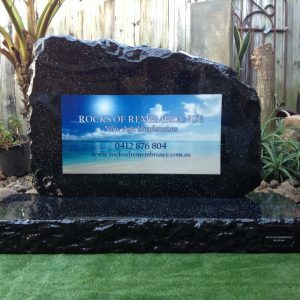 The Memorial Rock holds a large ash container in a cavity inside the rock & comes with an aluminium base to seal the rock air and water tight. Each rock has a sculpt recess for placement of a plaque. 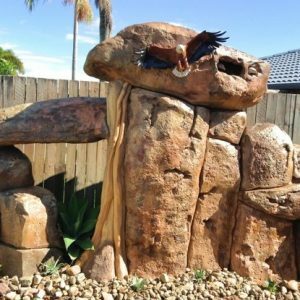 These can be made to any dimension. 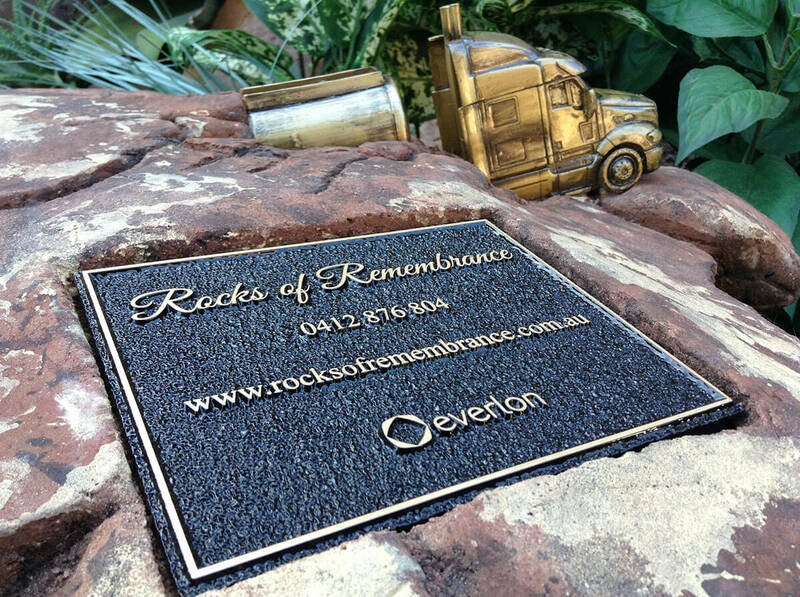 The Memorial Rocks can be made to your choice of colour. We can design & create a beautiful Memorial Rock to reflect a loved one’s life from small to large scale projects. 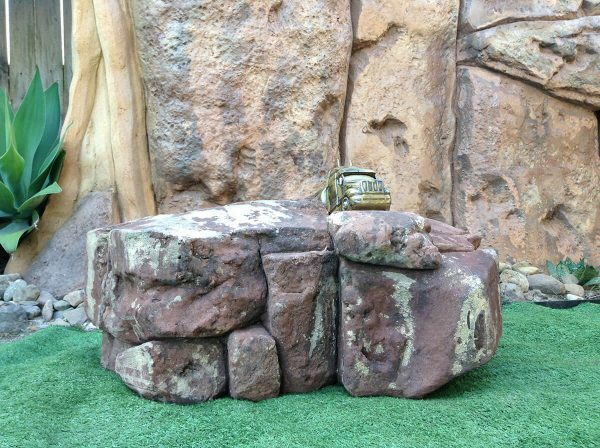 The Memorial Rock can be made with a cavity inside the rock to house an ash container, it will come with a base plate to seal on once the ash container is placed inside. 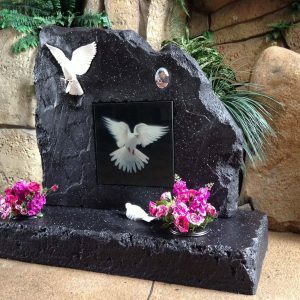 When the base plate is sealed in place the rock will become air & water tight protecting your loved once ashes for a lifetime. We have many different designs to choose from & we are coming up with new designs all the time. 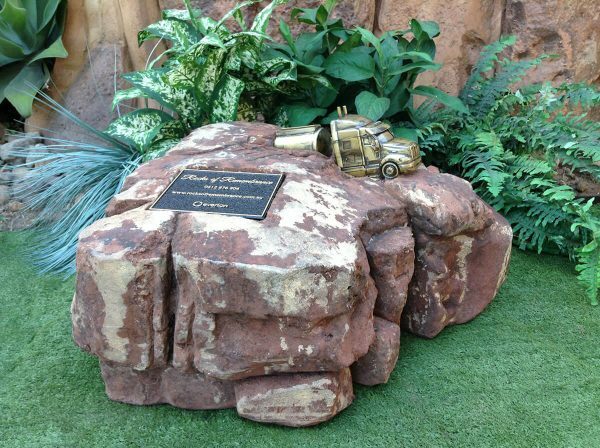 You can also add one of our handmade sculptures for a personal touch. We can supply bronze, glass or ceramic plaques as well as ceramic photos which can be placed in a sculpt out recess on the Memorial Rock so it sits flush with the rock. 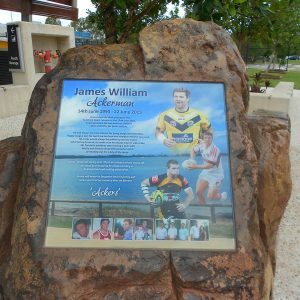 We also design & construct large scale Memorial Rocks to honour those who have passed in the community.